One of the trends in submarines development from the very start was to increase the number of available torpedo tubes. 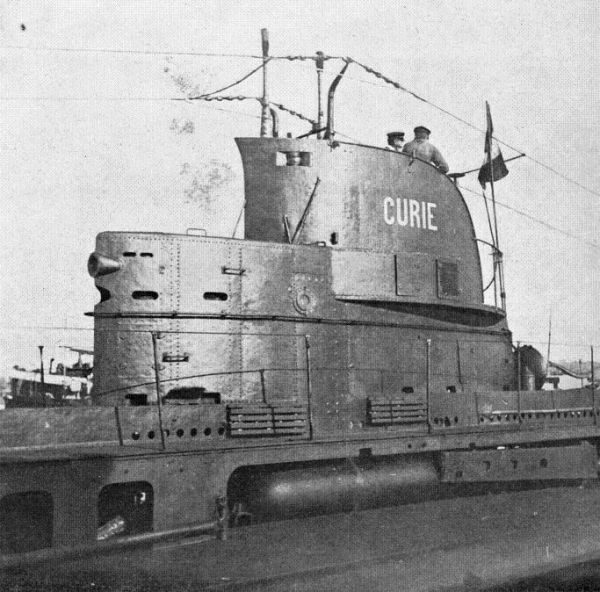 Initially early submarines, due to their small displacement – that is the small amount of space in the hull, were equipped with only one or two torpedo tubes (i.e. 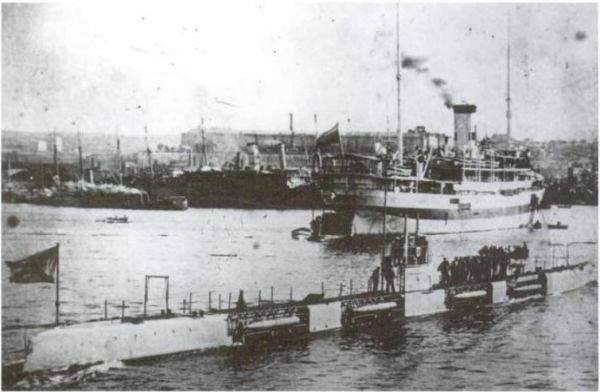 British submarines of the Holland class or A class, American submarines of the Plunger class, and German submarines of the U1 class). 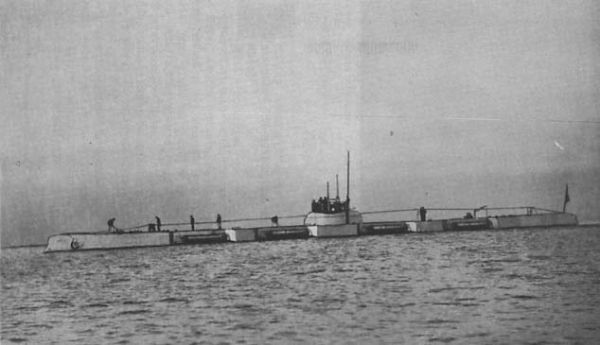 When larger submarines were constructed, it was possible to fit them with more than one bow torpedo tube and at least one stern torpedo tube. 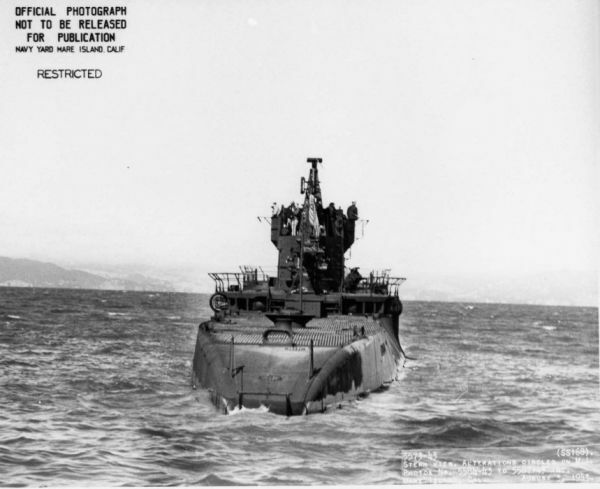 The problem of the number of torpedo tubes being constrained by limited space inside the hull was solved by installing external torpedo tubes outside the hull under the upper deck. 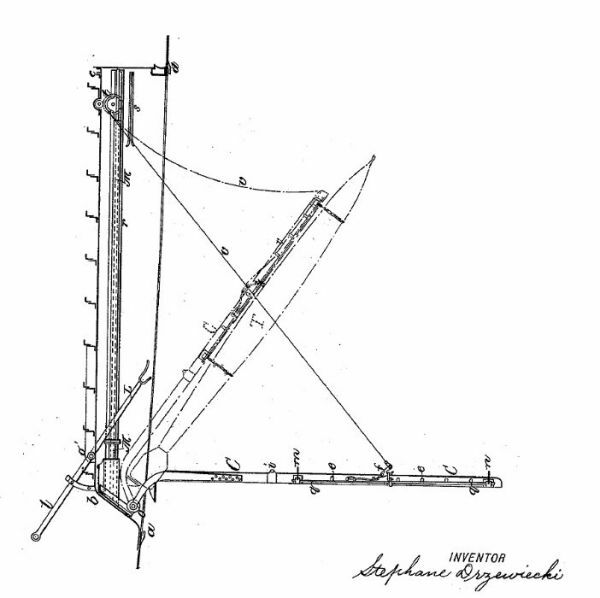 One of the types of external torpedo tubes was an installation invented and patented by Stefan Drzewiecki at the end of the 19th century known as a Drop-collar torpedo launcher. 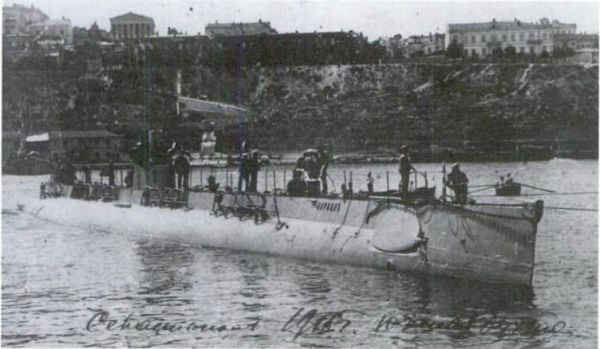 The Drzewiecki torpedo launcher consisted of a horizontal splint installed along the side of the submarine. Two collars were attached to this splint which held the torpedo. 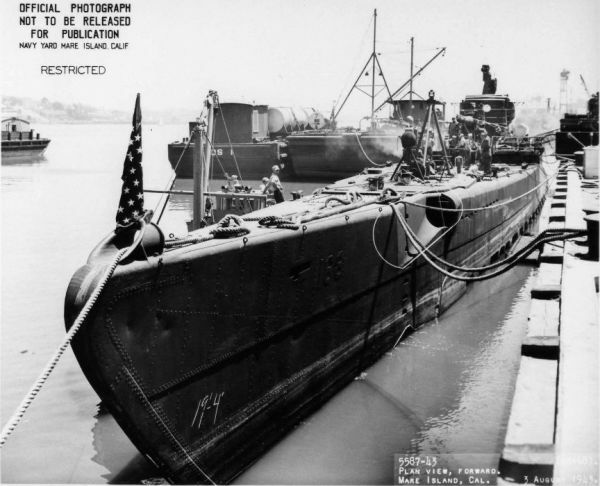 One end of the splint was attached to the submarine hull by means of a hinge. The other end could be (by means of a pneumatic actuator) moved away from the submarine hull. Thus the splint (with torpedo) could be offset from the longitudinal axis of the submarine. When the angle between the splint and the longitudinal axis of the hull reaches a preset value, the torpedo engine automatically starts up. The Drzewiecki torpedo launcher solved the problem of aiming torpedoes during the period when torpedoes were not equipped with gyro-angled setting gear. Torpedoes could then be launched on any course from 0 to 90°, without having to maneuver the whole submarine as in the case of using fixed internal torpedo tubes. 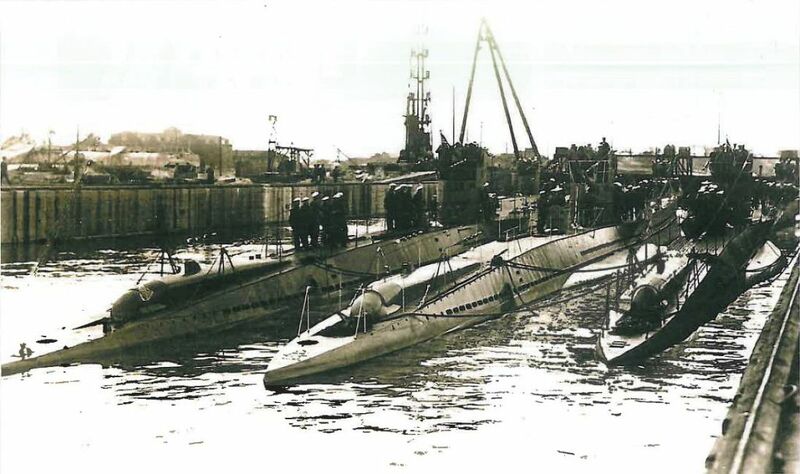 Moreover, compressed air was not used to launch a torpedo from a Drzewiecki launcher thus it could not escape to the surface and reveal the location of the submarine. The obvious disadvantage of this system was that the torpedoes were continuously exposed to sea water and water pressure at depth. Because the use of the Drzewiecki torpedo launcher was abandoned before the introduction of depth charges, they never had to deal with the effects of a shock wave from an exploding depth charge on an uncovered torpedo. 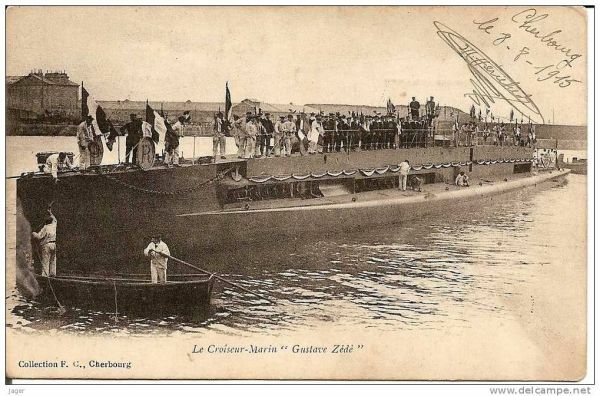 Drzewiecki torpedo launchers were popular in Russia (where most of the submarines in the Imperial Russian Navy were equipped with them including submarines of the class Bars, Narval, Morzh, Kaiman, and Delfin) and in France (the submarine Gustave Zédé and submarines of the Brumaire class). 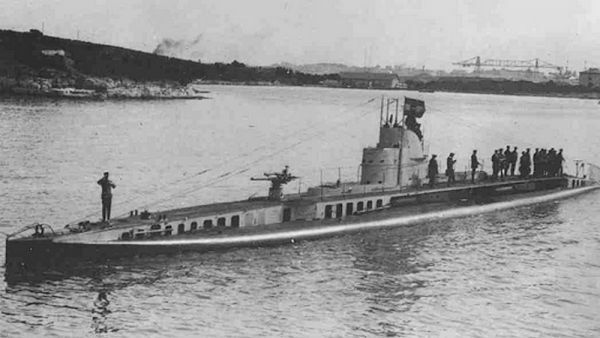 After World War II the displacement of newly built submarines increased so it was possible to increase the number of bow torpedo tubes. They also used hydraulic equipment for fast torpedo tube reloading, which also increased the number of torpedo salvos. So finally, external torpedo tubes were entirely abandoned.